Krieger Schechter Day School is delighted to announce the establishment of the KSDS Forrest and Miriam Foss Family Charitable Fund. Miriam (z”l) and I joined Chizuk Amuno in the early 1980’s. We had two young children and were searching for a place that would provide a first class Jewish and secular education. Our son, Gilad, enrolled in the first Kindergarten class and our daughters, Ilana, Yael and Ariella soon followed. 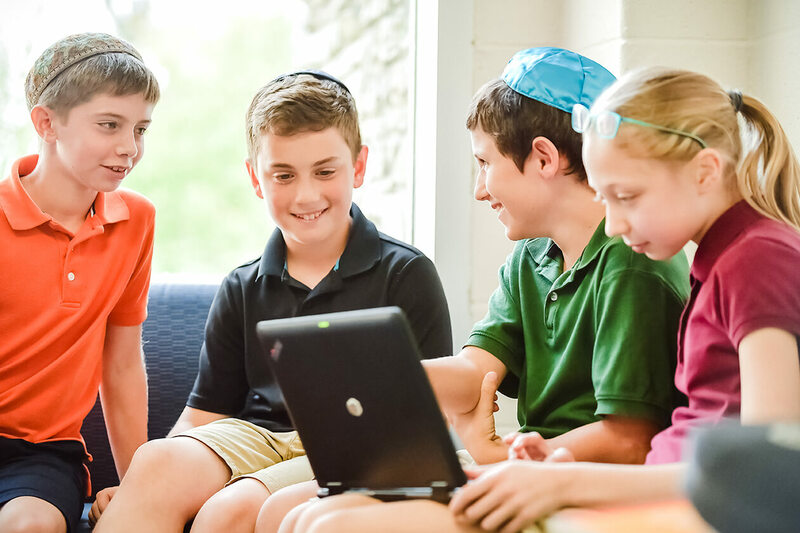 After graduation from KSDS Middle School, they continued their education at excellent schools and now, as adults, live purposeful lives enriched by Judaism and the values cultivated at KSDS. Why KSDS? A KSDS education does many things. First, it provides a superior general academic education with excellent programming and teachers who promote intellectual inquiry and encourage and support a genuine excitement for learning. Just as importantly, KSDS provides a superior Jewish education steeped in the history, values, traditions, ethics and language of the Jewish people. This combination builds a strong foundation, vital for engaging with a constantly changing world, and allows its graduates to impact the larger community, guided by the traditions and values of our Jewish heritage. What better way to support the future of Judaism and the Jewish community. We are extremely grateful to Forrest and the Foss Family for establishing this new fund in support of the KSDS mission. If you are interested in joining the Foss family in supporting the KSDS Endowment, please contact Liz Minkin Friedman, our Director of Development, at lminkinfriedman@ksds.edu or 410-824-2050.